A huge and very special thank you to Alec Bowen for another wonderful donation of £141.64p. Your continued loyalty and support for the charity is very touching and greatly appreciated. Alec has now raised a massive, fantastic £6,240.77p in Forty-One collection boxes! A very special thank you to the Customers at Aldi, Abergavenny for all your generous donations. 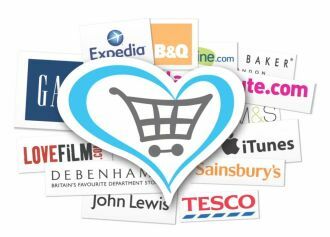 A huge and Very Special Thank You to Alec Bowen for another wonderful donation of £259.86p. Your continued loyalty and support for the charity is very touching and greatly appreciated. Alec has now raised a Fantastic £3,840.84p in Twenty-Six collection boxes! A very special thank you to the Customers at Aldi, Abergavenny for all your generous donations. Another wonderful donation from Alec this one was £143.70p. Your continued loyalty and support for the charity is very touching and greatly appreciated. Alec has now raised a fantastic £3,414.09p in Twenty-Three collection boxes! Once again a very special thank you to the Customers at Aldi, Abergavenny for all your generous donations. Another wonderful donation from Alec this one was £138.34p. Your continued loyalty and support for the charity is very touching and greatly appreciated. Alec has now raised a fantastic £3,270.39p in Twenty-Two collection boxes! Once again a very special thank you to the Customers at Aldi, Abergavenny for all your generous donations. Another wonderful donation from Alec this one was £121.24p. Your continued loyalty and support for the charity is very touching and greatly appreciated. Alec has now raised a fantastic £3,132.05p in TwentyOne collection boxes! Once again a very special thank you to the Customers at Aldi, Abergavenny for all your generous donations. Another wonderful donation from Alec this one was £161.48p. Your continued loyalty and support for the charity is very touching and greatly appreciated. Alec has now raised a fantastic £3,010.81p in Twenty collection boxes! Once again a very special thank you to the Customers at Aldi, Abergavenny for all your generous donations. Another wonderful donation from Alec this one was £145.06p. Your continued loyalty and support for the charity is very touching and greatly appreciated. Alec has now raised a fantastic £2,849.33p in Nineteen collection boxes! Once again a very special thank you to the Customers at Aldi, Abergavenny for all your generous donations. Another wonderful donation from Alec this one was £139.10p. Your continued loyalty and support for the charity is very touching and greatly appreciated. Alec has now raised a fantastic £2,704.27p in Eighteen collection boxes! Once again a very special thank you to the Customers at Aldi, Abergavenny for all your generous donations. Another wonderful donation from Alec this one was £114.71p. Your continued loyalty and support for the charity is very touching and greatly appreciated. Alec has now raised a fantastic £2,565.17p in Seventeen collection boxes! Once again a very special thank you to the Customers at Aldi, Abergavenny for all your generous donations. Many thanks to Alec for another wonderful donation of £192.75p. Your continued loyalty and support for the charity is greatly appreciated. Alec has now raised £2,450.46p in Sixteen collection boxes! A very special thank you to the Customers at Aldi, ‪Abergavenny‬ for your continued support and generous donations. Many thanks to Alec for another wonderful donation of £201.85p, your continued loyalty and support for ‪the charity‬ is greatly appreciated. Alec has now raised £2110.74p in fourteen collection boxes. A very special thank you to the Customers at Aldi, Abergavenny for your generous donations. I counted up our thirteen collection box from Alec, the total was £207.97p. His grand total to date is £1908.89p. We greatly appreciate all the hard work and loyalty you have shown towards the charity. I counted up our Twelfth collection box from Alec, the total was £149.85p. His grand total to date is £1690.92p. We greatly appreciate all the hard work and loyalty you have shown towards the charity. I counted up an eleventh collection box from Alec, the total was £124.89p. His grand total to date is £1541.07p. We greatly appreciate all the hard work and loyalty you have shown towards the charity. I counted up a tenth collection box from Alec, the total was £199.51p. His grand total to date is £1416.18p. We greatly appreciate all the hard work and loyalty you have shown towards the charity. Alec you are truly inspirational gentlemen! ‬I counted up our seventh collection box from Alec, the total was £127.89… So in seven collection boxes, he has raised £914.16p. We are eternally grateful to you Alex for choosing Ieuan the Lion Memorial Fund to support! A very special thank you to the customers of Abergavenny Market for the generous support, it’s very much appreciated! In the photo, you can see Alex hard at work! I counted up our sixth collection box from Alec. The total was £105.10p – So in six collection boxes, he has raised £786.27. We are eternally grateful to you Alec for choosing Ieuan the Lion Memorial Fund to support! I counted up our fifth collection box from Alec. The total was £170.51p – So in five collection boxes, he has raised £681.17p. We are eternally grateful to you Alec for choosing Ieuan the Lion Memorial Fund to support! You sir, have restored my faith in humanity, you are one true Gentleman! I counted up our fourth collection box from Alec, he’s the gentleman who phoned me a few months ago to offer help for the charity! The total was £71.99p…So in four collection boxes, he has raised £510.66p. We are eternally grateful to you Alec for choosing Ieuan the Lion Memorial Fund to support! I counted up our third collection box from Alec, he’s the gentleman who phones me a few months ago to offer help for the charity! The total was £201.62…So in three collection boxes, he has raised £438.67p. We are eternally grateful to you Alec for choosing Ieuan the Lion Memorial Fund to support! I counted up our second collection box from Alec, he’s the gentleman who phones me a few months ago to offer help for the charity! The total was £96.14p…So in two collection boxes, he has raised £237.05p. 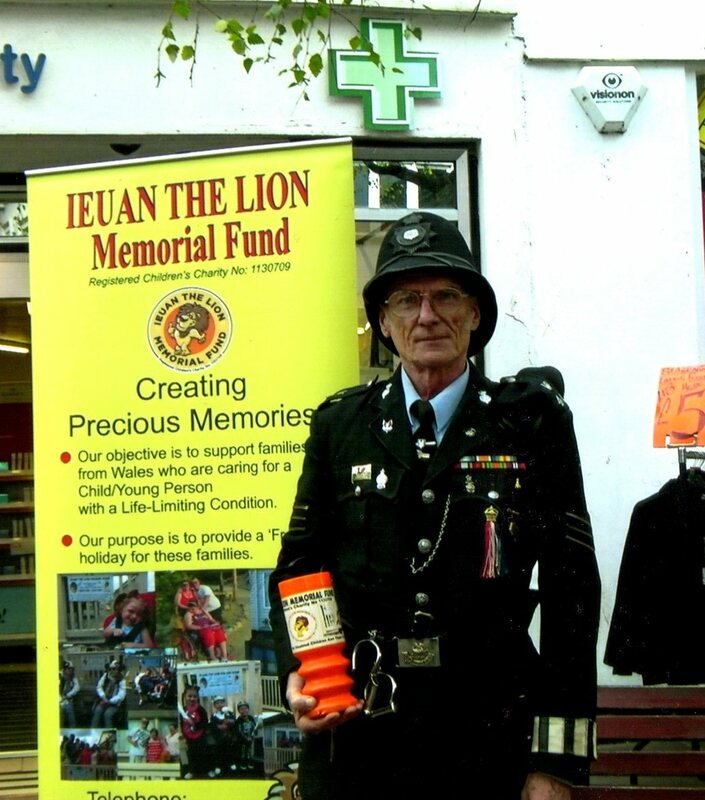 We are eternally grateful to you Alec for choosing Ieuan the Lion Memorial Fund to support!